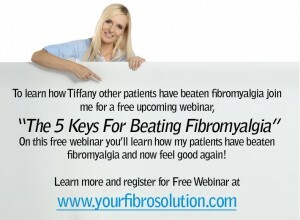 Intestinal Permeability | Your Fibro Doctor - You don’t have to live with fibromyalgia! Intestinal permeability occurs when the lining of the digestive tract becomes permeable (leaky) to toxins that cause chronic inflammation. 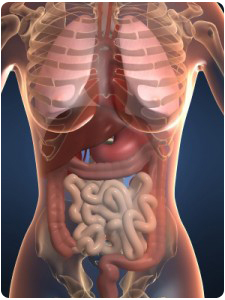 Intestinal permeability allows toxins to leak out of the digestive tract and into the bloodstream. This triggers an autoimmune reaction that can create pain and inflammation in any of the body’s tissues. The use of nonsteroidal anti-inflammatory drugs, steroids, antibiotics, antihistamines, caffeine, alcohol, and other prescription and nonprescription drugs renders the intestinal mucosa permeable to toxins and undigested food particles. 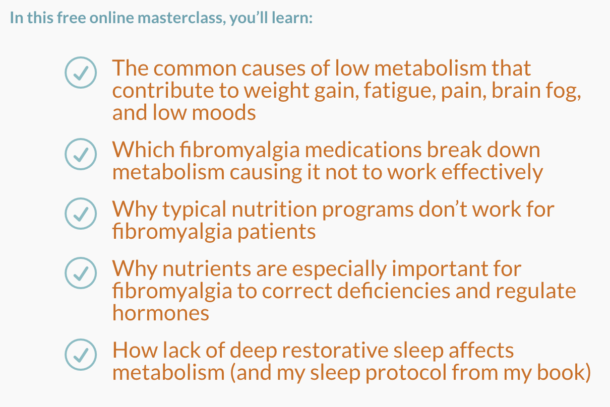 Studies show that most individuals with CFS are plagued with intestinal permeability. A treatment program for patients with CFS that reduced allergic foods and used nutritional supplements to increase liver detoxification pathways (phase I and phase II) yielded an 81.2% reduction in symptoms. Intestinal permeability can be measured by using a special functional medicine test available from Great Smokies Laboratory. To order this test call 1-888-884-9577. Take 3 probiotics a day on an empty stomach for 2 months. • Start supplementing digestive enzymes. • Treat and eliminate any parasite or yeast overgrowth. You should do this while you’re on the intestinal permeability elimination diet (see below). • Immediately begin an elimination diet to pinpoint any food allergies. Pay particular attention to gluten, a protein found in most grains, because it can be very irritating to the intestinal lining. • Make sure you’re taking fish oil, 1,000–2,000 mg. daily. The omega 3 fatty acids in fish oil help repair the intestinal tract. They also help reduce inflammation associated with leaky gut. One study showed that 2.7 grams daily put Crohn’s disease patients into remission. 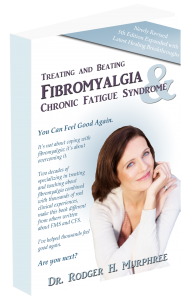 The CFS/Fibromyalgia Formula contains 2,000mg of fish oil. 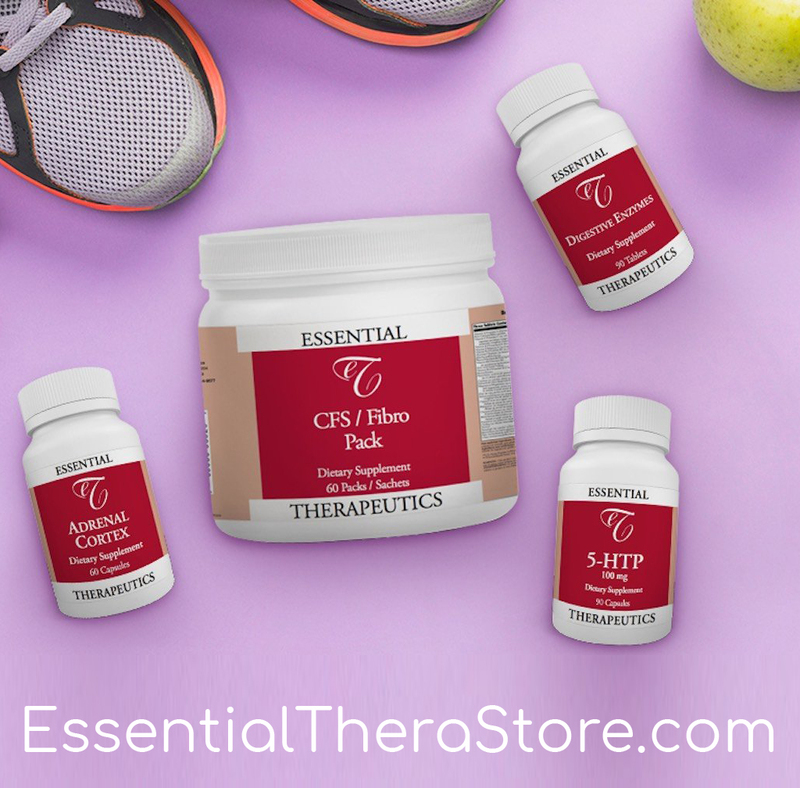 If you’re taking this formula then there is no need to add additional fish oil supplements. I place my patients on a special Leaky Gut formula. 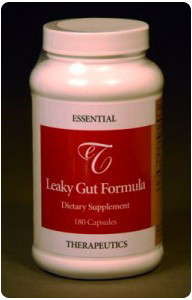 I use a product especially developed for intestinal permeability known as Leaky Gut Formula. It has all the essential nutrients to help correct intestinal permeability. Large amounts (6,000 mg.) of the amino acid glutamine, the primary fuel for intestinal cell function, are included to meet the high energy demands of the GI tract, liver, and immune system during periods of physiological stress. Glutamine also transports potentially toxic ammonia concentrations to the kidneys for excretion. Intestinal uptake of glutamine accounts for 40% of total body uptake. Chronic intestinal insults from Xenotoxins (NSAIDs, antibiotics, etc.) create a shortage of glutamine. Acacia contributes soluble, non-bulking fiber that is readily fermentable into acetic, butyric, and propionic short-chain fatty acids that create a supportive environment for growth of beneficial Lactobacillus bacteria, assist water absorption, and support colonic cell function. Nutraflora FOS supplies non-digestible fructooligosacharides to further encourage growth of beneficial microorganisms. Dosage: 6 capsules daily. Best taken between meals in divided doses. Can take along with probiotics. If you suspect you have yeast overgrowth then I recommend you do the Elimination Diet at the same time you start the Yeast Overgrowth Diet. Please see the yeast diet in the chapter on yeast overgrowth. You should avoid all known and suspected food allergens. For two weeks, you should avoid all gluten-containing foods: wheat, barley, oats, millet, spelt, sourdough, and rye. This includes wheat flour, breads, taco shells, muffins, cereals, pastries, cakes, pizza, crackers, pasta, oatmeal, pretzels, and other flour based products. You should also avoid all dairy products, including milk, ice cream, cream, yogurt, and cheese. Butter is allowed. No sodas (Coke, Diet Coke, Pepsi, etc.). Reduce all caffeine consumption, including tea (green/herbal tea is allowed), coffee, chocolate, and cocoa. The less caffeine intake, the better. To help prevent withdrawal symptoms (headaches, mood disturbances, fatigue) slowly wean off caffeine. Start by eliminating one quarter of daily caffeine consumption. For example: each serving of coffee, soda, diet soda, tea, and each chocolate bar equals one caffeine serving. If you consume four cups of coffee in the morning, three glasses of tea at lunch, and a diet Coke before dinner, you consume a total of eight servings of caffeine daily. You should begin by reducing your caffeine servings by one quarter (2 servings). This would still allow 6 servings a day. After 7 days, you should reduce your caffeine servings by another quarter (in this case, 1.5 servings). After another five days, you should reduce daily caffeine servings by half and then slowly discontinue all caffeine over a manageable period of time. It is not necessary for every patient to go off all caffeine; patients help themselves by reducing their intake to no more than one or two caffeine servings a day. After one month start to reintroduce one item from the eliminated food group at a time. The day of the challenge, eat a few servings of the eliminated food group (Wheat: pasta, toast, crackers, bread, etc.) then wait three days and reintroduce another food group (Dairy: milk, cheese, ice cream, etc.) and again, eat a few servings. If after three days of challenging a food group, there’s no associated negative reaction (headaches, stomach pain, bloating, runny nose, congestion, muscle or joint pain, low moods, fatigue, heaviness, etc.) then start to slowly add these items back into the regular diet. If you experience a negative reaction to any food within three days of challenging a specific group, you should discontinue that particular food group for another month and then repeat the process. It’s best to stay on the elimination diet, probiotics and the Leaky Gut Formula for 1-2 months. If you suspect you may have yeast overgrowth you should treat it during this time. If you’d like to know more about our office or protocols please feel free to give us a call (M-F, 8-4 PM CST) Toll free 1-888-884-9577.